U.S. officials admit they are not planning on shutting down the government's warrantless spying program, even if it is not reauthorized by 2018. 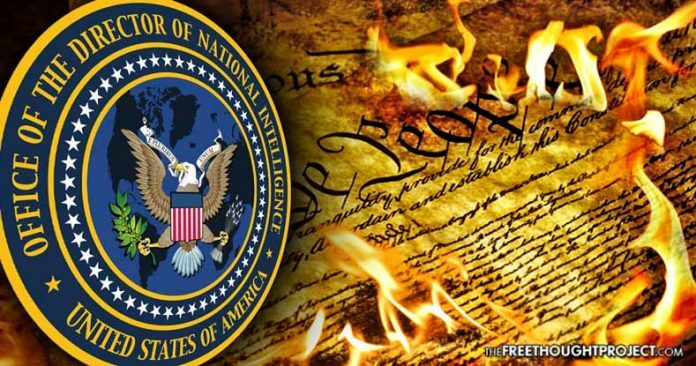 The assumption may be that if the USA Liberty Act is not signed into law, then the provisions from Section 702 will no longer be legal and the U.S. government will stop collecting data from innocent Americans without warrants—but intelligence officials do not see it that way. Hale’s reasoning stems from the fact that every year, the Foreign Intelligence Surveillance Court authorizes the program to operate for the next 12 months. Section 702 was last authorized by the court on April 26, 2017, leaving some lawmakers hopeful that even if the Liberty Act does not pass before the end of the year, Congress will find a way reauthorize Section 702 before it actually expires on April 26, 2018. Sen. Ron Wyden, a Democrat from Oregon, told the Times that he is prepared to have “a full and open debate” over the legality of the USA Liberty Act, even if Congress delays that debate until next year. Rep. Justin Amash, a Republican from Michigan, has also been critical of the USA Liberty Act. When it passed the House Judiciary Committee by a vote of 27-8 last month, Amash noted that all privacy advocates should be concerned about the overwhelming support the bill is receiving from Congress.